Ok…so we’re not quite ready for voice overs on this blog but it has been 12 months since I last posted on this topic – so a brief catchup is in order…right? Mum DNA tests a paternal Uncle (her Dad’s brother) and this says they are not related! 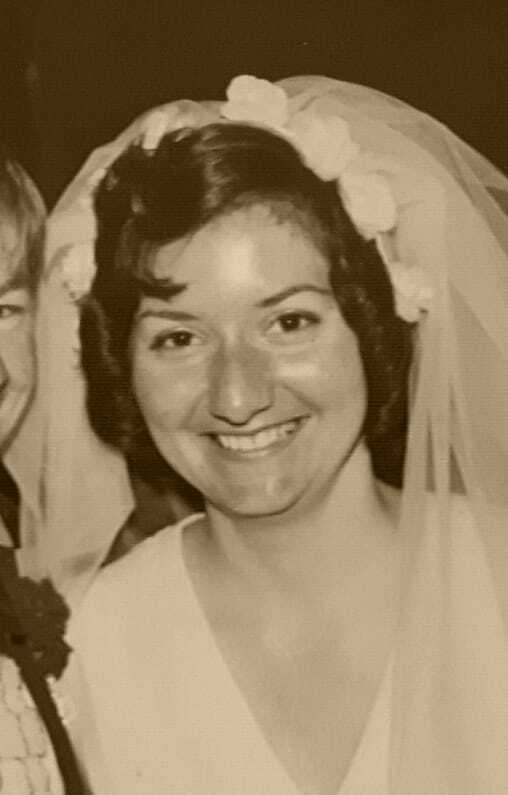 Mum’s parents passed away long ago…what do we do!? We test an Anderson family member from Nanna’s second marriage. No match to the Andersons! ‘John Smith’ actually has a very uncommon surname. This descendant passed away many years ago but I track down his wife and 2 daughters on facebook….. So I left my last blog post with a cliffhanger – do we or don’t we contact the daughter’s of the man we suspect is Mum’s biological father??? Mum was really keen to find out who her biological Dad was and put the mystery to bed. I (selfishly) wanted to know if my detective work was correct. We also wondered why he died so young…his daughters must have been only little?! Even if the family didn’t want to know anything about us, we wondered if there were any health issues Mum (and me I guess!?) needed to know about. Finding new family would be a bonus too – but given the circumstances, we had resigned ourselves to them not being interested. Putting myself in their shoes I wondered how I would react. We didn’t even expect a reply at this stage. I once had an interesting discussion on the wdytya forum about thisvery dilemma and others shared their sad tales of it not going well. But despite this, Mum was keen and so I sent both the girls a private Facebook message and included my email address. I thought that it would be some time before they contacted us….but the very next morning when I woke up there was an email! I was blown away. It turned out that one of the girls actually lived here in the UK too. We couldn’t believe it! We assumed that they were both in Australia. She sent through some photos too…the first photos Mum had seen of her (potential) father. (moist eyes all round….) I can’t say we were struck by an immediate striking resemblance though, but there was a certain familiarity with the nose? eyes? ….maybe?? Or was that just us seeing something we hoped for……after a while you just start seeing rainbow unicorns everywhere! After a flurry of emails back and forth and getting a bit emotional, we decided to arrange to meet up on Thursday after work. 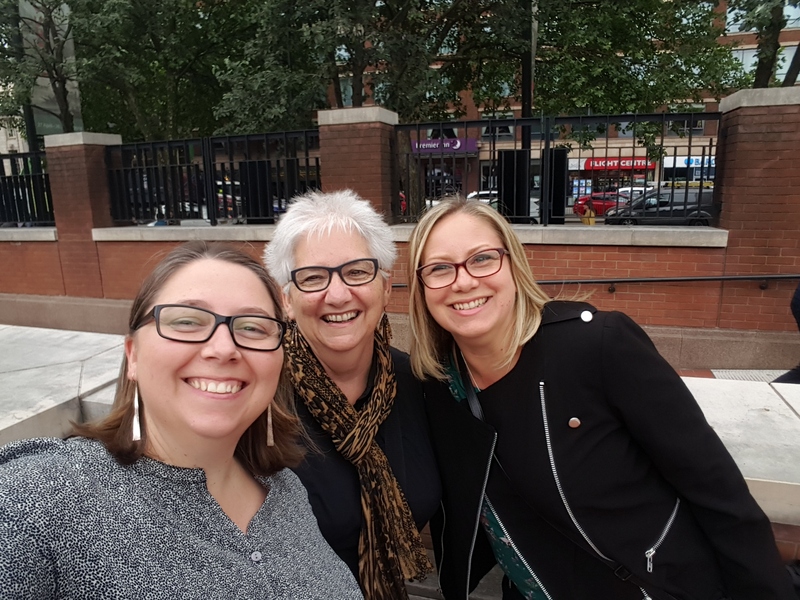 We arranged to meet in the forecourt of the British Library as it was a public place and we could walk away if it wasn’t meant to be….or alternatively we wouldn’t be having hugs and tears and introductions with a waiter trying to get us to a seat! Mum and I sat nervously in the courtyard. Would she show? Would we cry? I had been nervous all day at work with butterflies in my tummy and struggling to concentrate. Mum had been the same. I wasn’t sure what to expect – we knew what she looked like as we had swapped phone numbers and some photos. But as soon as she walked up to us I recognised her and saw that same familiarity we had seen in the photos….especially to my baby sister. It was quite a surreal experience actually. Straight away we noticed we were all the same height too (short 😉 )! And then she looks at me and says “You’re missing a tooth aren’t you?”. I was taken back. Not many people realise this – I am indeed missing an incisor and still have a baby incisor on the other side. The new teeth simply didn’t form. It turns out that my middle sister has the same thing, but I don’t know anyone else with it. But now I do – my Aunty (well the one in Australia at least)…and apparently it is hereditary. Both the girls had noticed it straight away in the pictures we sent. And that was just the beginning of strange coincidences that evening as we chatted over dinner. For example, it turns out that both of her sons are colourblind and so was her Dad. 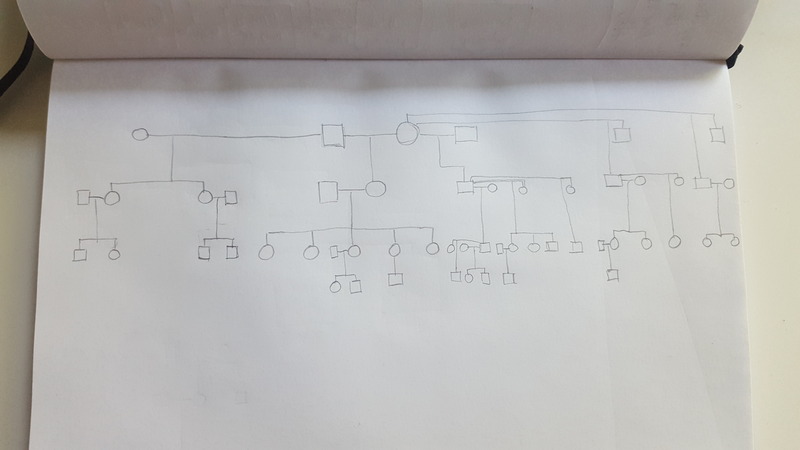 I never realised (or forgot) but this is a genetic thing that, as I understand it, is passed on by the mother to the children through the X chromosome (or so i read). Girls are carriers (and occasionally have it) but it will generally just affect boys. So their Dad was colourblind and then passed it on to his daughter who passed it on to her sons. The reason I spell this out , is that my nephew is colourblind. No one else in our family is colourblind and so we just always thought it came from his Dad’s side of the family. But it can’t have – fathers don’t pass it on (they pass on the Y chromosome to their son’s which is apparently not the colourblind one). Mum’s Dad (the one on her birth certificate…) was in the Navy and presumably, if he was colourblind, it would have been noted on his service record at the least, or maybe even stopped him joining back in the day?! If we’d thought about all this and researched it years ago it might have perhaps raised a question in our minds. So our interests were piqued as we discussed this over dinner. It was looking more and more likely that there was a relationship there. Aunty continued to tell us about her Dad. Apparently, he was quite tall (Nanna was tall too so how did Mum end up only 5’2″! ), and he was also quite the inventor. Mum asked where he worked, and well that was a real game changer. 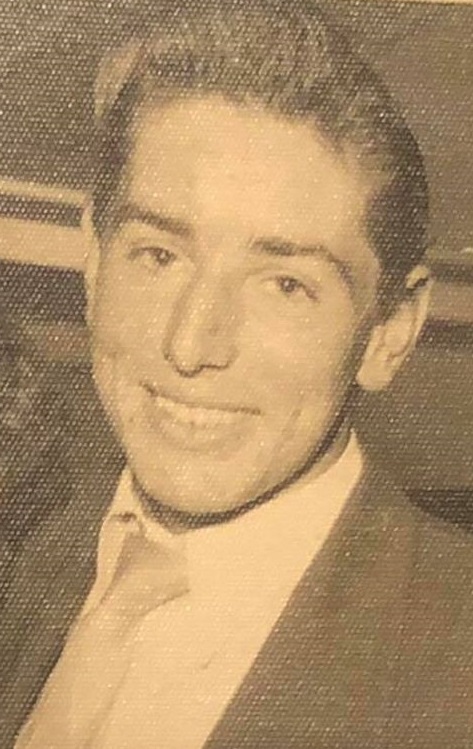 He worked at Victa Lawnmowers (a well known Australian lawnmower company) as a Mechanical Engineer until he passed away in 1976. Mum nearly fell off her seat! 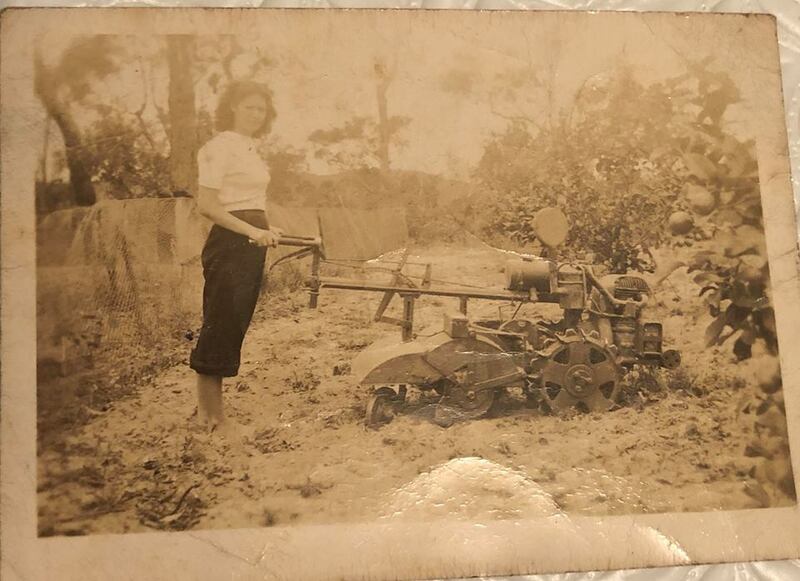 Her first job was at Victa Mowers, also at the Milperra factory and at the same time he worked there! Although she was in the office and only worked there for a short time, it seems almost certain that they would have perhaps passed each other at some point. At this moment the waiter came over to see if we wanted more drinks and to clear the table. I can’t even begin to imagine what he thought was going on – three of us sat there in stunned silence with our mouths open! I get goosebumps thinking about it even now! We continued to talk about our families and experiences growing up. Mum grew up in Sefton/Chester Hill (Western Sydney) which is also where the girls were – just streets away. They both knew the same places, and even though there is an age gap between them, it’s possible they may have passed each other around the shops at Sefton and Chester Hill. And from this it seems that their Dad was definitely the one who dated Nanna over the years! Aunty told us about her Dad and Mum. Because he died so young both the girls were only little and had few memories of him. While he did leave them reasonably provided for, there is no doubt their Mum would have worked very hard to look after them. Aunty told us how their Mum would knit gloves and sell them in the local haberdashery in Sefton to help make a few extra dollars. Again Mum couldn’t believe it…they compared notes to make sure they were talking about the same store (and they were). The haberdashery in Sefton was owned by Nanna’s second husbands family – Nanna Anderson! Mum would visit regularly as a child as her family also owned the produce store….and Aunty remembered that store too! Mind. Blown. …..again. There were other coincidences too. 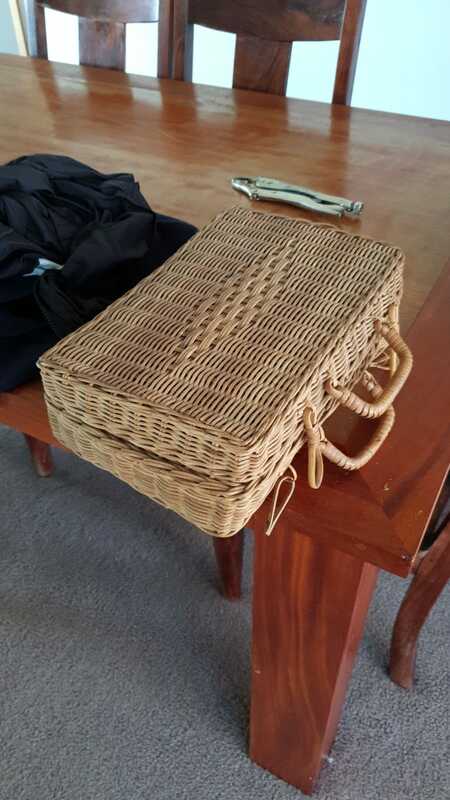 Random little things…years later in the 1990’s Aunty went to Sydney Uni doing accountancy at the same time I was next door at the technical college doing drafting! Their family had a house on the central coast and would spend the summer there. But so did Mum’s family…it was the Sydney thing to do. They would all have been in the same area and now maybe Mum passed her half sisters when on summer holidays too! By this stage, we were all head and heart weary. It had been a long, and emotional few hours and so we said our goodbyes and headed home. Before we went we agreed the girls should take a DNA test to confirm the link, but in our heart of hearts, I think it seemed certain. There were just too many coincidences for it to be anything else. The next day going to work on the tube, Mum messaged an old friend who worked with her at Victa. They were high school friends and both got a job together at Victa after leaving school. Mums friend stayed on at Victa for years, long after Mum had moved away. So Mum thought perhaps there was a chance that her old friend might have remembered this guy, since he died in his 40’s and had a young family…that would have stuck in my mind at least. After Mum messaged her friend she got a message straight back saying “What a blast from the past, he used to give me a lift to work sometimes!”. Mind blown x 10! Unfortunately, she can’t remember much about him other than he was a nice guy (otherwise she wouldn’t have got a lift)! I then get to work and there is a message from Aunty in the UK telling me to check out some photos sent on facebook from Aunty in Australia. Apparently, they were photos of their Dad’s that were in the attic and they never knew who the people were. They had thought perhaps they were relatives and held on to them after their Dad died, but in light of me contacting them, they wondered….?! I looked at the pics over lunch and gasped. There were various photos of school classes and girls with their Dad – it looked like most of them were taken at a deb ball perhaps. 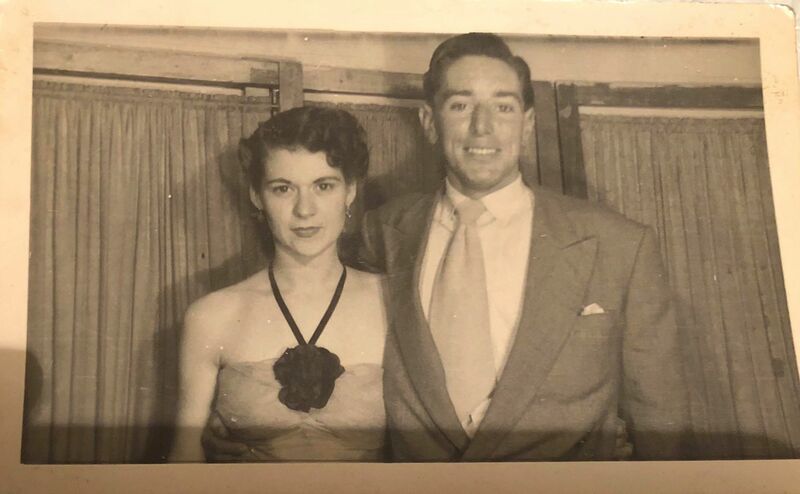 In one photo he is with the woman who later becomes Uncle Laurie’s wife (the paternal Uncle who told Mum that his mate ‘John Smith’ dated Nanna…). But quite a lot of the pictures they sent had the same woman in them……my Nanna!! I waited till I saw Mum later that day to confirm (I didn’t want to be imagining it!) 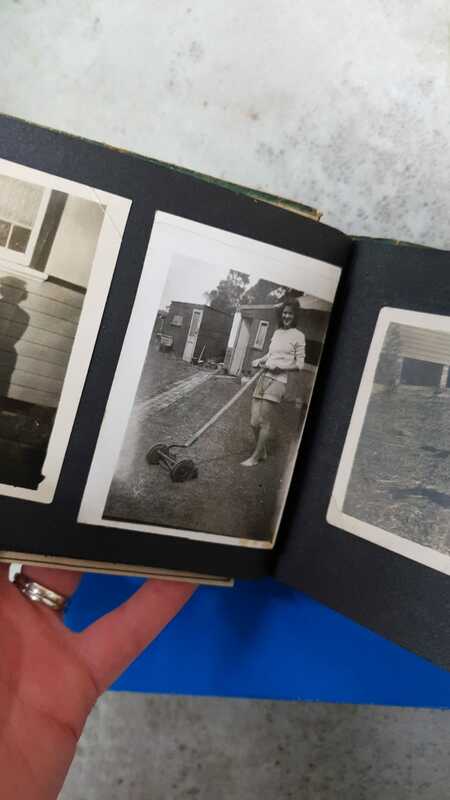 but she also grinned and recognised her Mum straight away…she even has copies of some of the photos herself back in Australia. My sister got Nannas photos out of storage and we sent a photo to my Aunties. A photo of Nanna from ‘John Smith’s’ attic…. All of this has been an emotional roller coaster. We have shared photos and regularly whatsapp. Whatever the results of any DNA tests, our families lives have really been intertwined in so many ways. 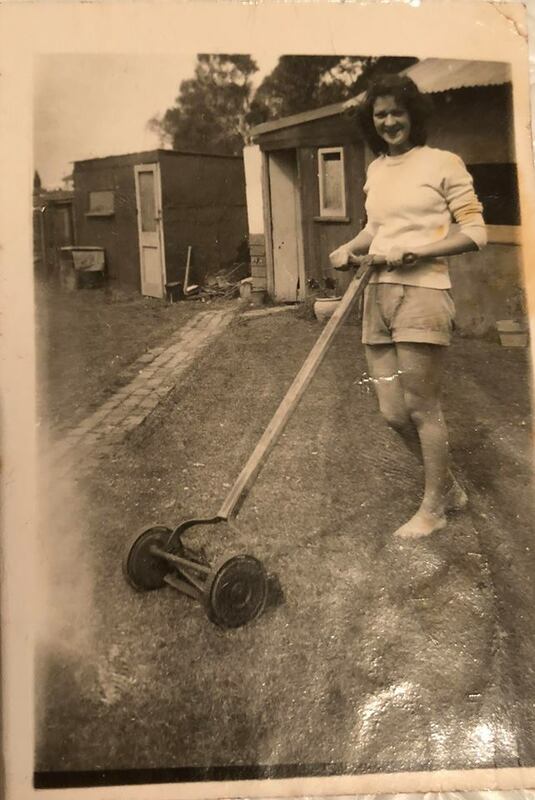 To have a photo of your Nanna found in the attic of an ex-boyfriends house after so many years is just….wow! Mum working in the same factory as him! …Oh. My. Days! And then their widowed Mum selling gloves to the Anderson family. …..just stop. After all that drama though, it almost feels like a bit of a footnote to say that the DNA results came in – and a little sooner than we expected too. The Ancestry DNA results confirmed they were ‘close relatives’ which includes cousins….and half-siblings. So it’s for real. Mum now has two sisters and I have a whole new set of relatives to trace! With so many half-siblings though, Mum’s tree is starting to look a little complicated!? But like my Uncle (the brother of the Dad on Mums’ birth certificate) said right back when this all first started, he didn’t care about the results of the test, Mum would always be his niece. And so rather than lose anyone, we have just gained a whole extra branch from the tree trunk that is my family history. The girls are excited about this whole thing but we do worry about their Mum. In some instances when you see this sort of thing on TV, it really affects some people and they need closure (e.g. if they were adopted). In this case though, none of the girls – Mum or my Aunties, really knew their Dads (biological or ones on the birth certificate!). So it seems a little different – although discovering your Dad isn’t who you thought is still a bit dramatic! We simply never knew each other existed, and so for me at least, it feels like new beginnings! The next step is to try and meet up again and maybe all together in Australia in the New Year. Will see how we go. Oh, and of course you’re wondering what the man himself looked like! Well…meet my grandparents Nanna (Betty Morgan) and Kenny Snodgrass (aka the famous ‘John Smith’). This was one of the photos his family found in the attic. Goosebumps or what!